Welcome to Yeti Restaurant, the mystical and authentic world of exquisite dinning. Our great tasting food is presented to you as a complete culinary masterpiece. You can enjoy delicious Indian and Himalayan Cuisine at its best in an elegant and intimate ambiance. 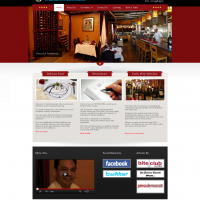 Yeti Restaurant, a finest Nepalese/Indian Cuisine serving the Glen Ellen.